1 Fineline Rottweilers Gnadenhutten, Ohio. Gnadenhutten, Ohio. Contains pictures, pedigrees and information on their dogs. SiteBook Gnadenhutten City Portrait of Gnadenhutten in Ohio. 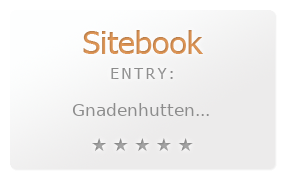 This Topic site Gnadenhutten got a rating of 4 SiteBook.org Points according to the views of this profile site.